Push notifications have received a lot of attention over the last few years. Running via apps they allow clubs to send a message or an advert direct to the golfer’s phones, even without the app open. This makes them a powerful marketing tool and an excellent way to communicate to your members. A 2016 Google study shows that brands increase engagement with their apps by using targeted ads that reach users at relevant times. This is backed up from our own tracking statistics, where we have noticed an increase in golfers viewing the section(s) relating to the club’s notification. Clubs that are using push notifications appropriately are seeing the benefits and it’s an easy way to let your members know of what is happening. There are a few different types of push and pull marketing options available today, each with their own strengths. This article will outline how each one works allowing you to choose what suits your own club. This is the most commonly sent, where text messages are manually entered via a backend content management system and sent to the user’s phone. The types of messages you can send via this method are entirely up to your imagination! However, most common uses include notifications of upcoming events, special offers or course closures – just don’t make the message too long – no one wants to read an essay on their phone lock screen! When the app user approaches a certain point, it will automatically send the phone a message or an image. This is often used either for sponsorship or suggestive selling for example “Enjoy 10% off your next game” or “don’t forget to order your food” therefore can work very well as an excellent marketing tool. Whilst great out on the course, there are limitations to GPS based push notifications as they do not work very well indoors because they require line of sight with a satellite for them to work. Also they have a fairly wide catchment area, which can prevent it for being used for things that require better precision. For example with a loyalty scheme, you wouldn’t want anyone driving down the road past your club inadvertently topping up their loyalty card! Similar to GPS push notifications, but with greater precision – clubs are able to define an area on a map and whenever anyone enters it, they will be sent their notification. This technology can be very useful for those that have a pay-and-play or other casual facilities because you are able to send an offer to the users Smartphone and entice them in. Using geo-location notifications has been shown to work well alongside a loyalty scheme. The last of the notification systems is the iBeacon, which is a push and pull system. The app and the iBeacon “listen” out for each other and can be used to create an excellent sales tool and an amazing member interaction tool. iBeacons are small portable, weather proof digital beacons that run off low frequency blue-tooth and with a capture area from about 20cms to 200ft gives managers a large range of options both in and outdoors. When set to a close range an iBeacon will locate where the app user is on a micro-environment scale, which means you, the manager of the system will do too. This will allow your club to give a truly personal experience and a comprehensive management tool. To give you an idea of its practical uses, this technology can be employed from the simple to the complex, with excellent results. On the other end of the scale, when used together with a number of iBeacons, this technology can be used to completely transform the member’s experience. 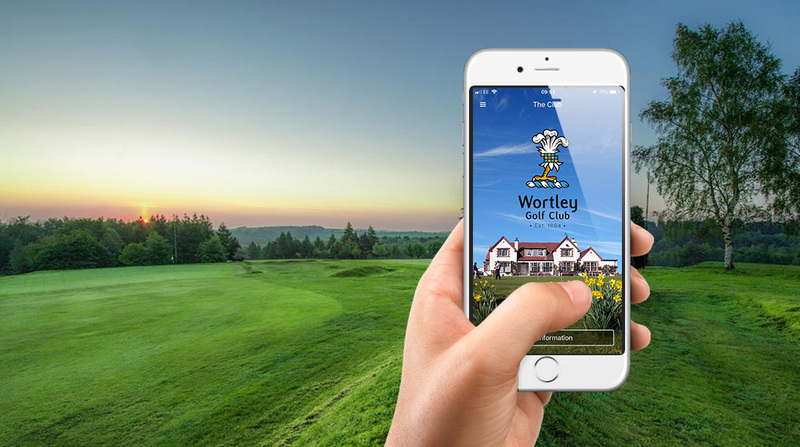 This is what the iBeacon is capable of in a golf resort to maximise customer experience and drive revenues via engagement and personalisation. As soon as your member arrives at the gate, the iBeacon sends them a greeting and sends a notification to the clubhouse that this particular person has arrived. This can all be coded into the clubs CMS to enable the member’s profile to be brought up too! iBeacons placed strategically on the course can wish golfers a good match, remind them to order food, thank them upon completion and offer them incentives to book another round right away. The iBeacons can do all of this plus allow the management to know who is on the course, where they are to ensure bottlenecks are avoided, give personalised welcomes all that the same time! Currently the iBeacon is being mostly used in larger retail business and exclusive clubs, and there is no reason that smaller clubs can not very successfully use the iBeacon on a smaller scale to achieve desirable results. All of these types of push notifications can raise the profile of the club to both their members and visitors, creating both an excellent communication tool and a sales solution. One word of caution – do not over use them otherwise your members will simply turn them off! Because technology is going to feature heavily in golfer engagement and driving all aspects of club revenues, clubs need to be implementing now if they don’t want to be left behind and miss out on the potential that a good club app can bring to both the team and their members. By working in partnership with 59club, CourseMate Golf Club App helps the industry to deliver greater levels of customer satisfaction and with the inclusion of 59club's golftell gives clubs proactive management tool for even greater feedback and engagement.